Also, don’t forget to enter the fabulous World Cup Golden Mullet competition if you haven’t yet done so. Even if you hate the football you have to love the hair! Following Ronaldo’s world record £80m transfer from Manchester United to Real Madrid in 2009 some 80,000 fans attended a welcome ceremony at the stadium. 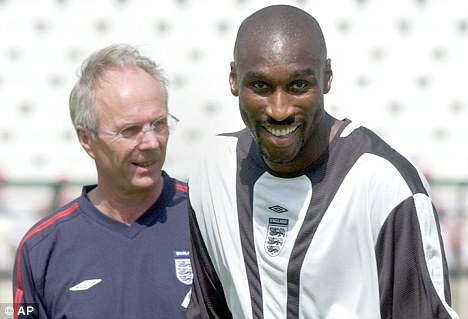 This beats Emile Heskeys transfer to Aston Villa when nobody turned up. Not even the press. Prepare for passion footy fans as Latin comes to town on Friday! Portugal and Brazil is going to be HOT HOT HOT! Brazil will come out on top but it won’t be easy and I expect a sending off for the fiesty Portuguese. Ivory Coast have too many dance moves for North Korea and will win that one. In the evening Switzerland won’t have it all their way against the Hondurans with their slick hips and hot blood. That one will end honours even. Finally it’s going to be a love-in when Spain meet Chile as two beautiful footballing sides meet. But there’s a lovers tiff – a sting in the tail! Magnificent Spain will LOSE to Chile. Yes – you heard it hear first – the holiday romance will come to a crashing end! Oh, and in case you are wondering what I’m dunking in my tea today I have chosen Macaroons to mark Cameroon’s last match before they travel home. TTFN biscuit lovers! 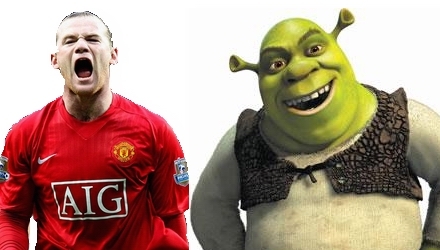 As you know Wayne Rooney left the field early with an ankle problem. My tricorder reading showed it to be what we call a “niggle” and he is beaming up to sick bay on The Enterprise twice a day for an ice pack. It was a proud performance from our lads in red and white. Our headline today was “Hail Defoe! Now The Foe”. We are going to be building up to Sunday’s game with Germany with all sorts of racist incendiary rhetoric. On Sunday we will lead with “Let’s bash the boche” and on Monday it will be “You’re Goring home” if we win or “Down and Kraut” if we lose. Of course a win will probably put us up against the Argies so I have lots more jingoistic abuse for the front and back pages. We are just hoping we don’t come up against Brazil because it’s tough coming up with bigotted headlines for them. We can all breathe a sigh of relief now that England are through to the second round. It seemed that the entire country came to a stand-still yesterday as everybody stopped to watch the match against Slovenia. Prime Minister David Cameron, did you manage to sneak away from affairs of office to watch the match? I managed to watch some of the game while I was attending to my in-tray. I would just like to say “Congratulations” to the entire England team for their performance. How were you nerves during the game? Were you always confident we would win? I never doubted we would win. I always back our soccer team to win over 60 minutes. I thought we were unlucky to lose our first two matches but it all worked out in the end. Erm, we actually drew the first two matches Prime Minister. So was there any player who stood out for you? The win was very much a team effort but I thought Michael Owen did well and David Beckham always tries his best. Also Dave Rooney was unlucky not to score later on. I see. Tell me Prime Minister do you normally watch much football? As much as I can yes. I’m a keen supporter of the Tottenham but unfortunately I never have time to go and see The Reds play. I try to follow their results and it’s good when they score the goals. Finally, how far do you think England can go in this competition? Do you think they could win it? I would like to think so! Of course it’s not going to be easy but we are a great footballing nation and it might just be our year. One thing’s for sure if we do lift the cup I will join the squad for an open top bus ride around London. And if we lose I will be sending Nick Clegg to the airport. Speaking of which, where have our coffees got to? There were incredible scenes as Slovakia beat world Champs Italy 3-2 to send them home early. It must spell the end of Lippi’s managerial reign although he will bemoan the lack of a cutting edge in his ageing squad. Also in Group E Paraguay earned the point they needed to go through but spare a thought for New Zealand who can go home with immense pride having draw all three games against all odds. Group F was not without drama as a dynamic Japan beat Denmark thanks to two fine free kicks and a shaky performance from keeper Sorenson. I’m so pleased Japan have qualified as they are my “second team”. They play with such enthusiasm and happiness, there is no diving or play acting and there are no stars – just a great team ethic. Speaking of Japan I actually thought for an instant that they had sponsorship on their shirts with name like Honda and Matsui on display. It would be fun if they could find a few more names like Nissan, Toyota or a guy called Rav to give the number 4 shirt to. Holland meanwhile went about their business calmly to record their third group win without the need for any fireworks. By the end of tomorrow we will know the full second round line-up. There have been a few very exciting games so far but with Brazil vs Portugal and Spain vs Chile to come Friday could become THE day of the tournament so far.